We’re a month into the new year. How are you doing with your financial resolutions? If you’ve already abandoned those resolutions or encountered some bumps in the road — such as holiday bills — all is not lost. Why not revisit them and restart? It only takes 21 days to make something a habit. Consider the current (as of this writing) government shutdown. It doesn’t affect the pay of service members or civilians working for the Defense Department. But it does affect Coast Guard members and those working with some other federal agencies, including an unknown number of military spouses, retirees, Guard and Reserve members, and veterans. Some are seeking assistance for basic needs through military relief societies and other charities. Some are able to get no-interest paycheck advances from some banks and credit unions, but nothing requires financial institutions to do that now, or in the future. What would happen to you personally if your paycheck — or your spouse’s — suddenly stopped? Or what would happen if your spouse is unable to find employment after your next change of station move? Tally up your bills and debts — car payments, rent or mortgage, credit cards and other consumer loans — that you would still have to pay. Not everyone is able to scrape up an emergency fund, for a variety of reasons. For that emergency fund, $500 is a good initial goal, but that doesn’t have to happen in a month. Resolve to find $5 or $10 a week to put aside in a savings account for the future. It’s a building block for your finances — and it’s also a big step toward your financial peace of mind. Another good goal is plowing as much money as you can into paying down your debt. 7 strategies they used to avoid drowning in red ink. “A goal should be specific, measurable, attainable, relevant and timely, [or SMART],” said Andi Wrenn, a military widow who holds an Accredited Financial Counselor certification and has worked with military communities in a management capacity since 2008. For example, you might have said your goal is to spend less and save more this year, but you didn’t lay out at least some SMART aspects, she said. A SMART example: When eating out for the next two months, order water instead of a drink. “That one improves your waistline and makes your bank account bigger, as even a soda often costs $2.29 when eating out. I know clients that eat out at least three times a week. That saves a couple over $100 for the eight-week period,” she said. 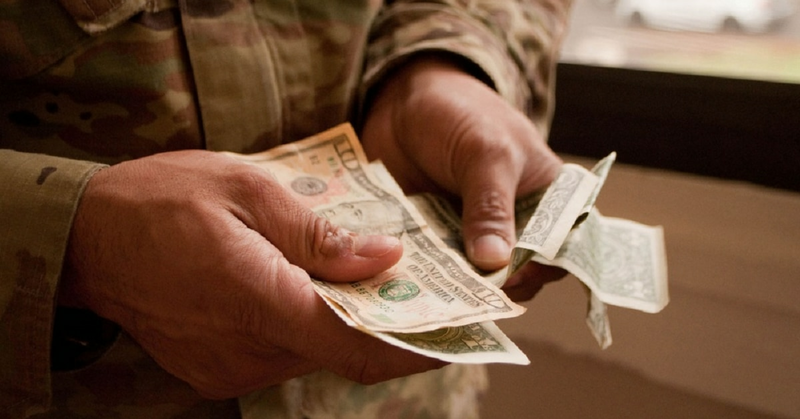 Wrenn said she encourages clients to build in some “fun” money, which can be especially helpful for military couples when one person is on remote assignment or deployed. A benefit available to service members and their families is access to free, professional financial counseling, through family centers on base, sometimes embedded in units, and also through Military OneSource. These are great resources to help review your finances, and set and meet financial goals that are SMART, Wrenn said. As a financial counselor, she helps clients make behavioral changes that are needed to make a goal stick, she said. It’s helpful to find an “accountability partner,” she said, someone to whom you can report your progress, or perhaps call when you’re about to stray. One behavioral change might be steering clear of “friends who drop $100 on a weekend night out drinking and eating out,” she said.